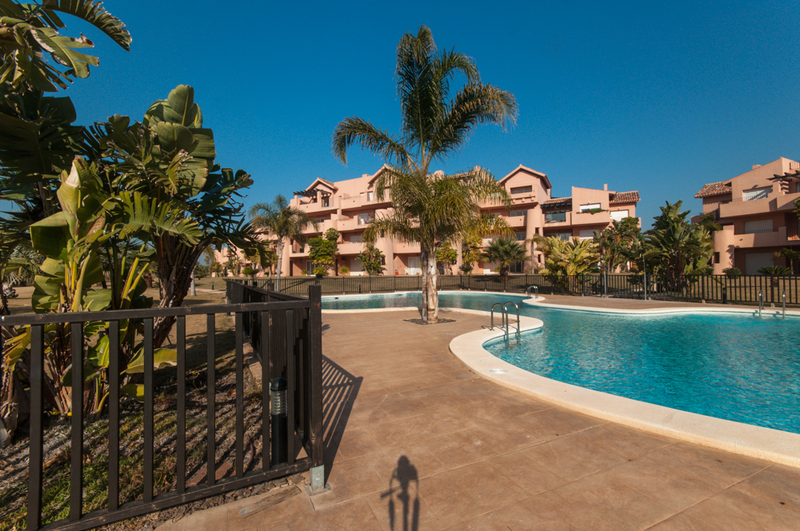 Sunny ground floor apartment not to be missed! 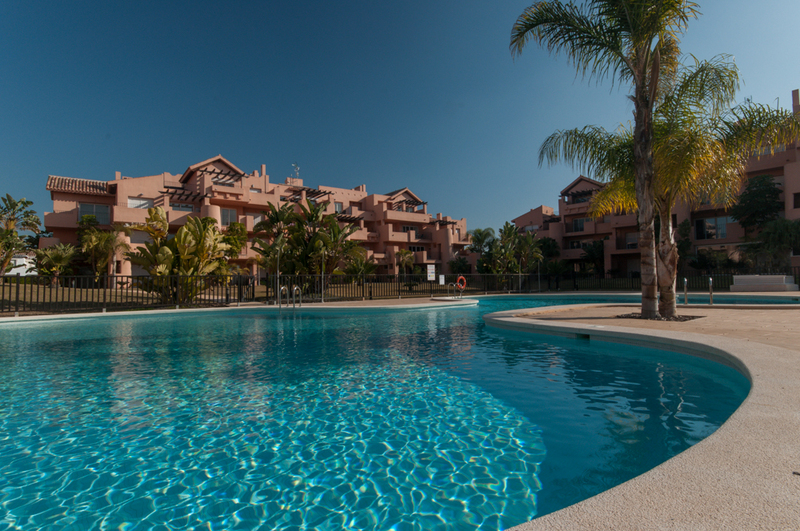 We are delighted to present this beautiful south west facing ground floor apartment at the Mar Menor Golf Resort. 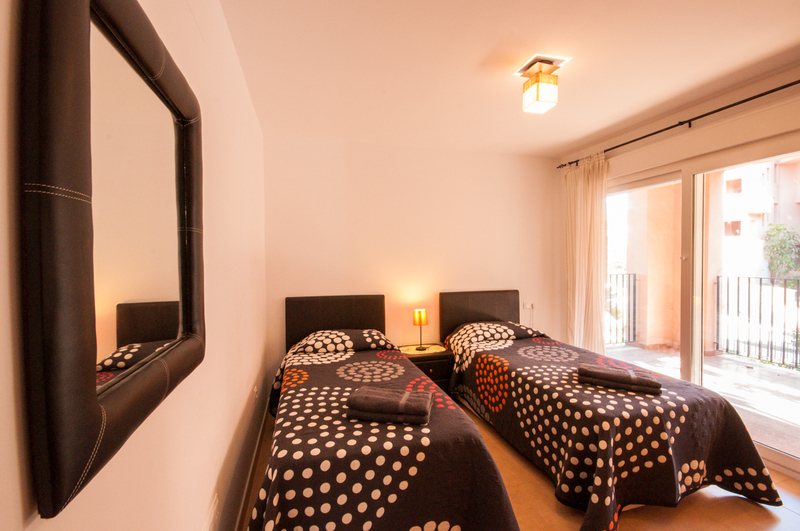 The apartment benefits from air conditioning, European television, free WIFI and is comfortably furnished throughout. apartment MM2017 is located close to the 13th green/14th tee. 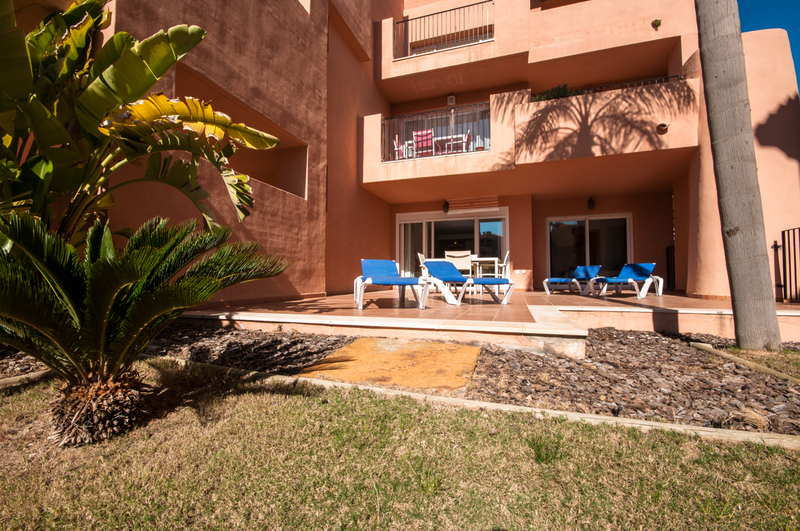 Being on the ground floor the apartment enjoys direct access (via its huge terrace) to the nearest swimming pool! It's ideal for sun bathing and dipping in and out of the pool to cool down during the sizzling summer months! 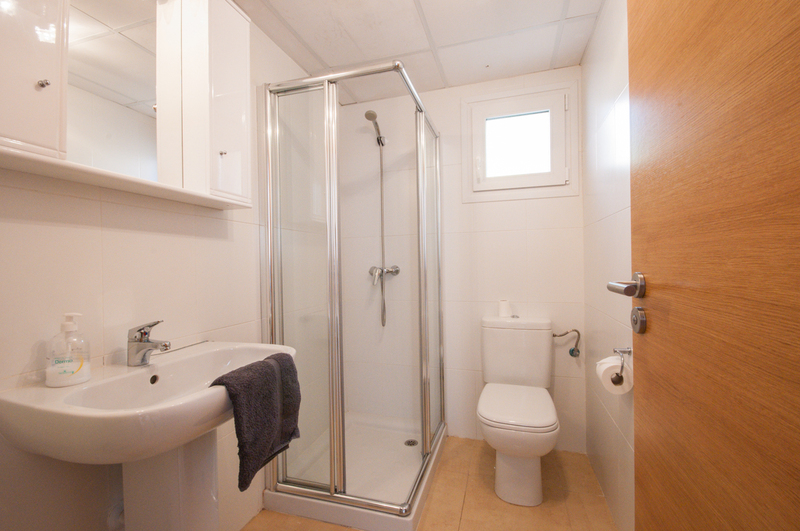 Features include quality furnishings, European & UK TV, DVD player, a well equipped kitchen, full air conditioning/heating and two bathrooms. 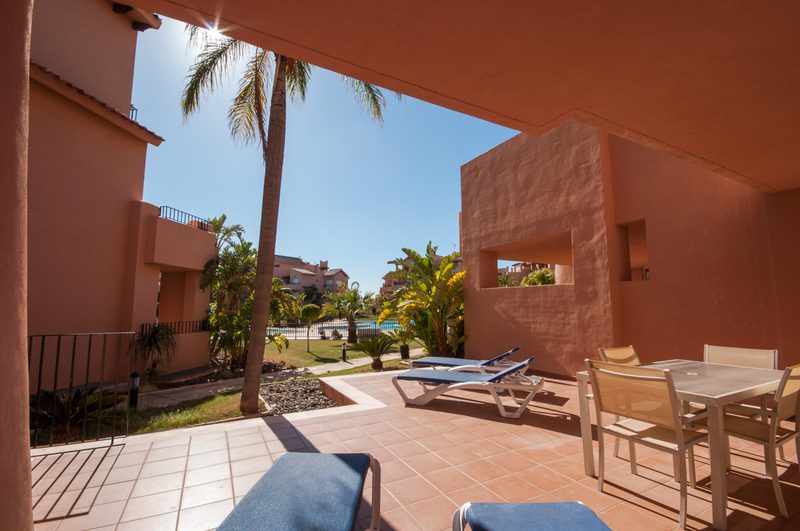 The apartment is conveniently located as the resort centre is easily within a 10 minute walk away. 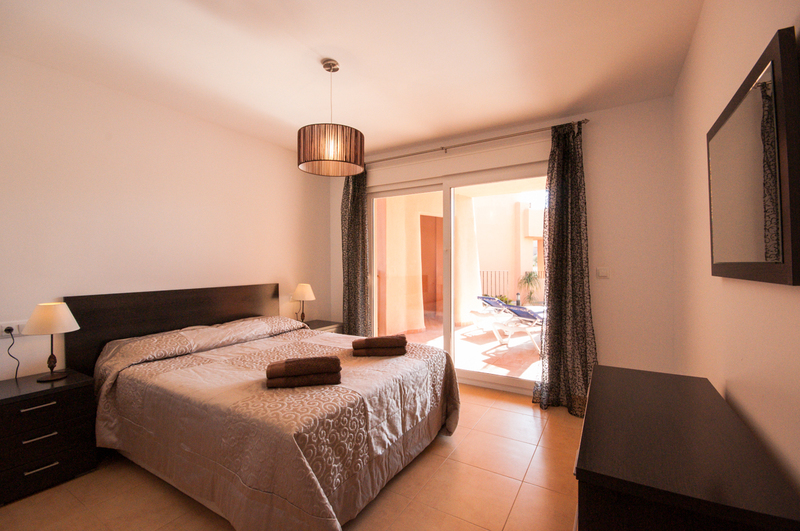 The accommodation includes a spacious lounge with dining area, patio doors leading to the huge terrace, a well-equipped modern kitchen (with a breakfast bar and 2 stools), a large master bedroom with en-suite bathroom, a twin bedroom and a shower room. 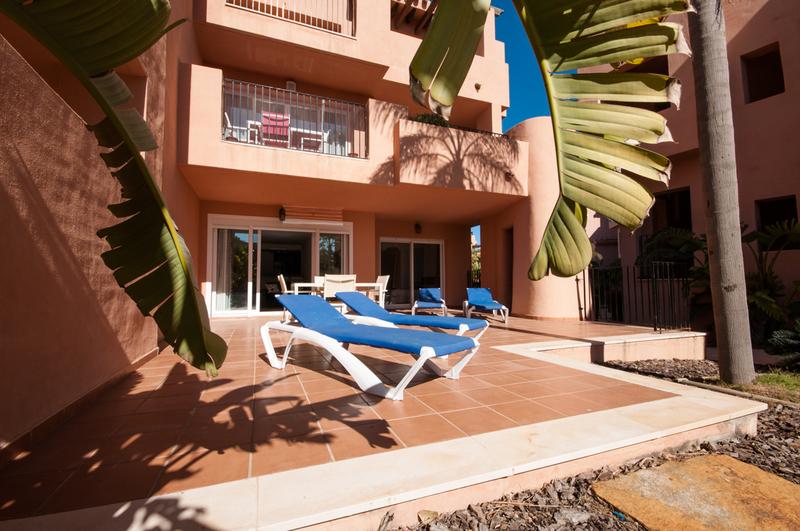 Externally there is a huge sunny terrace with a dining table and 4 sun loungers to make the most of the great weather. 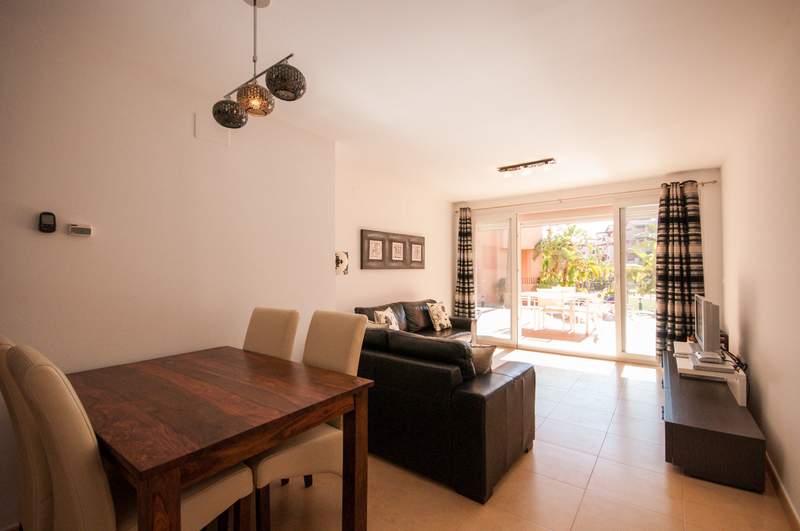 The apartment has direct access, via a lovely garden area, to a beautiful communal swimming pool. Additionally it also benefits from secure underground parking. 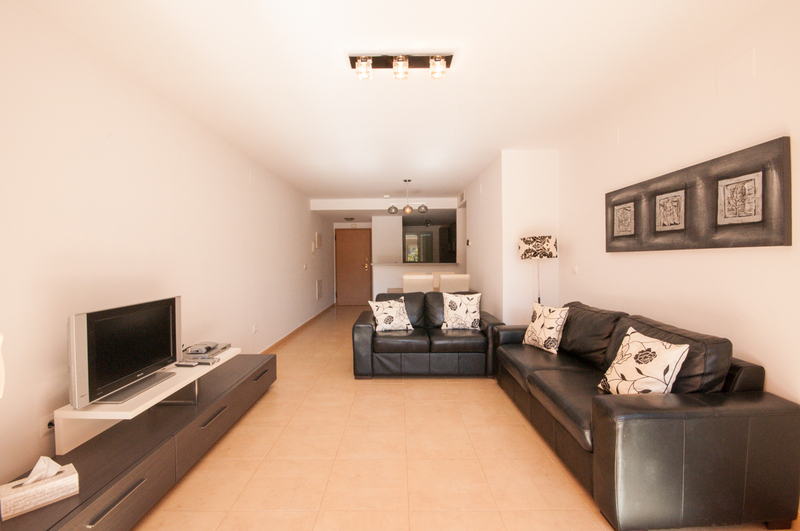 Apartment MM2017 is fantastic property for those who love spending most of their time chilling in and around the pool! 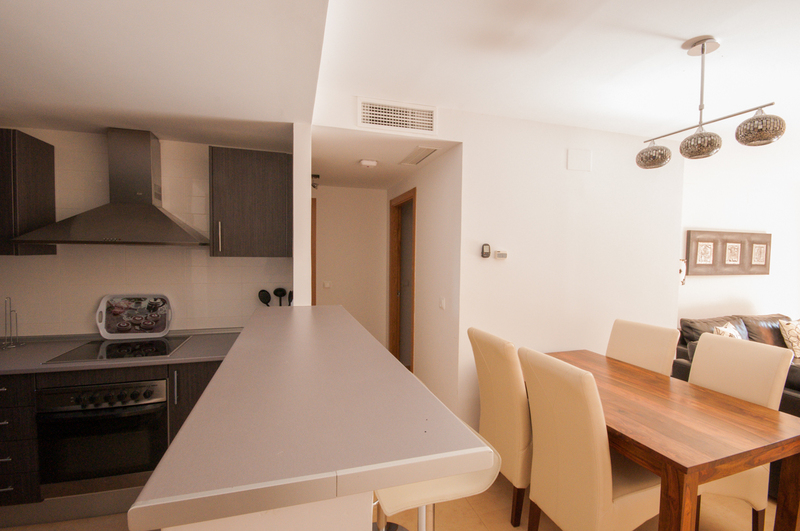 As its ground floor there is no messing about with lifts etc… every time you fancy a drink or snack. 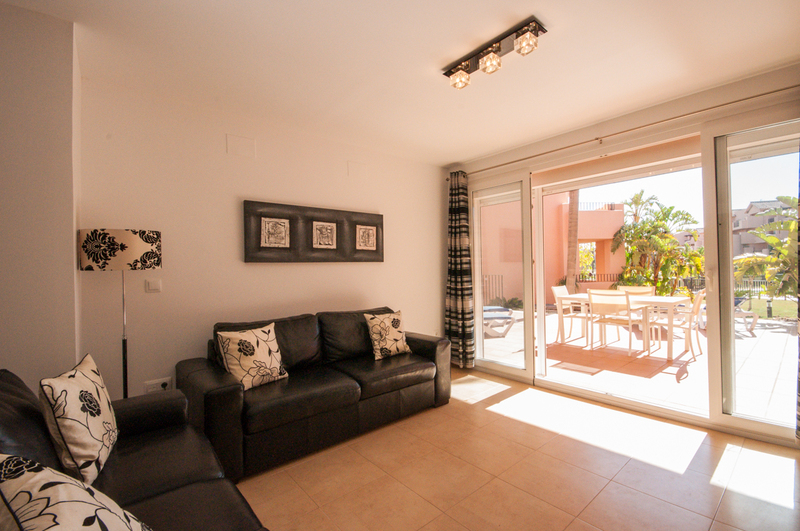 At apartment MM2017 you can just open the patio doors and relax! 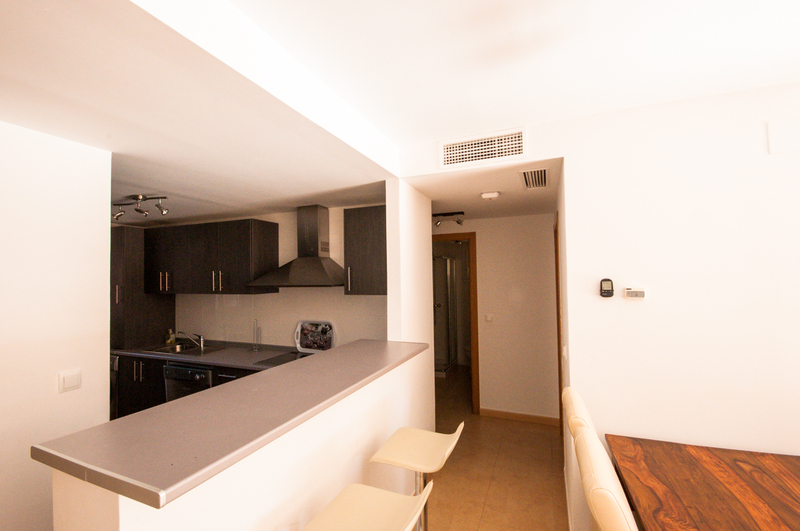 Oven, hob, fridge/freezer, washing machine, dishwasher, microwave, toaster, kettle, cafetiere, hot and cold air conditioning throughout, UK & European television, huge terrace, 4 sun loungers, outdoor dining table, direct access from terrace to swimming pool, ensuite bathroom, BBQ, secure underground parking. 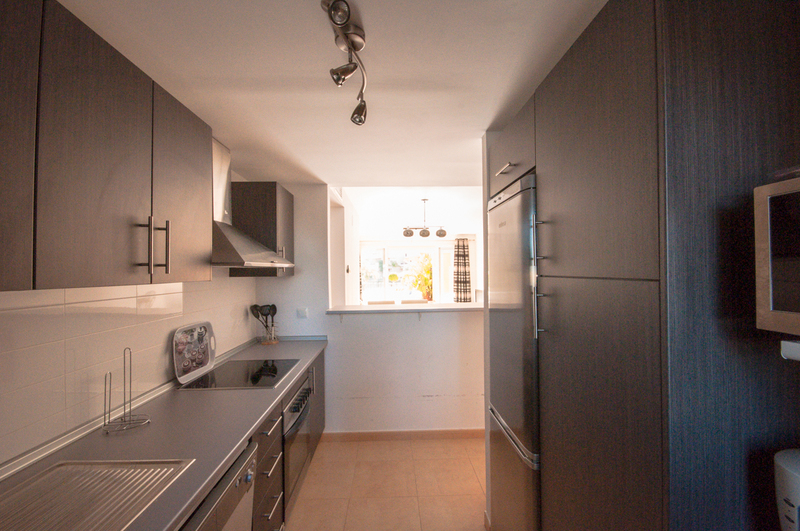 This south facing ground floor apartment is located on Calle Espliego, block 48 and is close to the 13th green / 14th tee. 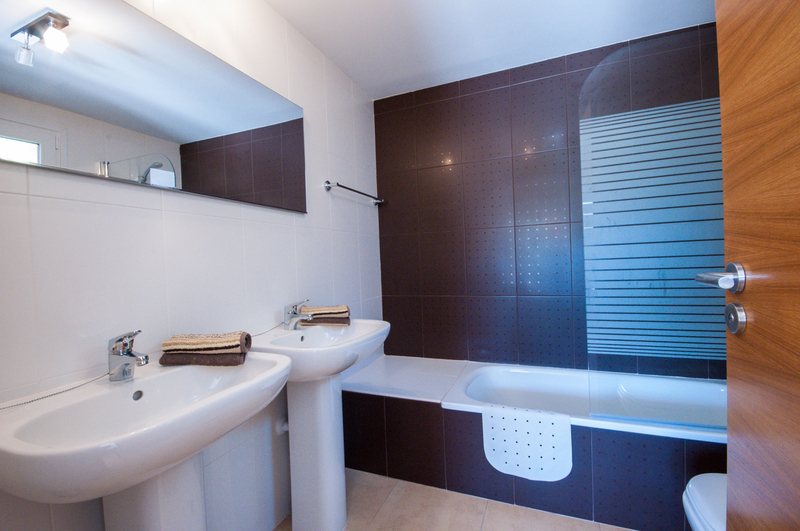 The hotel and resort centre are conveniently easliy within a 10 minute walk.